After another day of playing, made a small tweak to Wuxia Chess. This is a relatively minor adjustment that allows the Knight to attack when it uses its Technique. It made sense to limit it for balance considerations but in play it just made the Knight very boring compared to the other pieces. 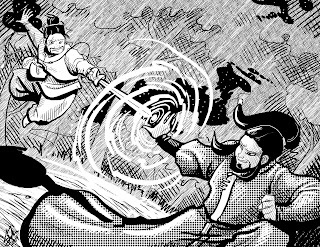 Here are some rules to spice up a regular game of chess with wuxia flavor. These are loosely inspired by techniques from our game Wandering Heroes of Ogre Gate. The rules for wuxia chess are the same as regular chess with one big difference. 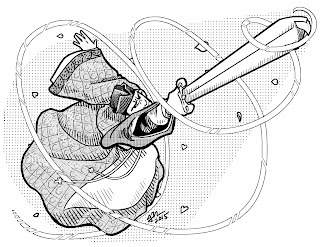 All Rooks, Knights and Bishops have special Wuxia Techniques they can use once during play (once used, they become normal Bishops, Rooks and Knights). In addition, a single pawn of your choice is designated as a Secret Hero and also has a special ability. Wuxia Techniques are assigned to pieces by their type and indicated by the placement of a poker chip beneath the piece. Rooks, Bishops and Knights all have Wuxia Techniques. Secret Hero Pawns can use one of four abilities listed in the Pawn Techniques section. When the ability is used, simply remove the poker chip so you know that the piece can no longer draw on its wuxia technique. To conceal your Secret Hero, take out some white poker chips and write an S on the bottom of one of them. Then take all the white poker chips and place them beneath your pawns (putting the one with the S under your Secret Hero). Wuxia Techniques (including Pawn Techniques) never work on Kings or Queens. They are immune to these abilities. 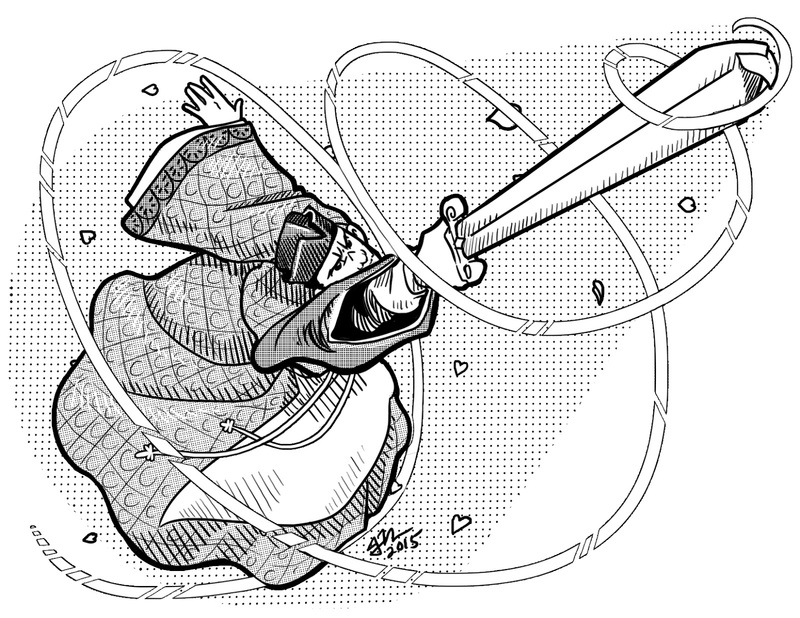 Every Rook, Bishop and Knight has the following Wuxia Technique. These are represented by placing a Poker Chip beneath the piece. Once the Wuxia Technique is used, the poker chip is removed and the Technique cannot be used again by that piece. Blazing Charge (Rook): You blast your foes in a blinding charge, leaving a trail of bodies in your wake. You may continue moving and capture one extra piece in your path. For example this allows a Rook to move forward two spaces, capture a piece, then continue forward until it captures another piece. Qinggong Master (Knight): Your Lightness Kung Fu is profound and you may make an additional move this turn. The second move is your full movement. You can capture a piece on your first or second move, but not on both. Ricocheting Strike (Bishop): Your attack ricochets or sends fragments flying at another piece on the board. When you capture a piece, the nearest enemy piece is also captured. Pawns designated as Secret Heroes can use any of the four abilities listed below. Again, you may only select one pawn to be your Secret Hero. If your secret hero reaches the end of the board and becomes a Queen, it retains its Pawn Techniques. As with the other pieces, Pawn Techniques are represented by Poker Chips. Use the white poker chips and write an S on one of them (placing this piece beneath your Secret Hero and giving the others blank chips). When the Pawn Technique is used, it should be removed as the pawn can no longer use it. Suicidal Qi Blast: You unleash all your internal energy in a powerful wash of light that strikes surrounding enemies. You can use this ability when you are captured to take two adjacent pieces. Three-Point Strike: You use your knowledge of pressure points to quickly tap your foe three times in the chest area, causing them to freeze. This can be used on any foe in an adjacent square. The affected piece cannot move for 2 turns. Grace of the Tiger: You effortless evade attacks and are difficult to capture. First attempt to capture you always fails. The piece that attempted the capture returns to its original position. This still counts as your opponent's move and ends their turn.